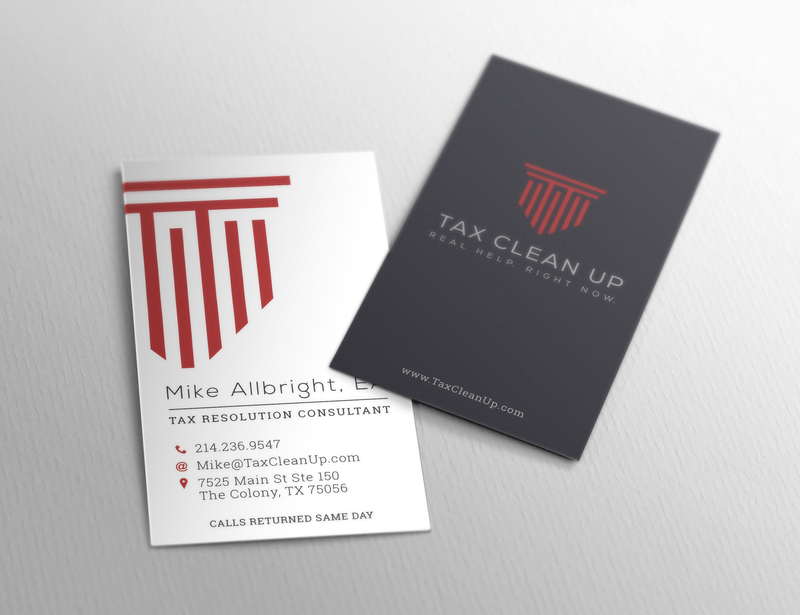 Michael Allbright, owner of Tax Clean Up, likes to battle the IRS Goliath, and he wins more often than not. With a mission to bring solutions to customer’s tax hurdles, Tax Clean Up is also a service provider for Tax Planning, Bookkeeping, Advisory, and Fractional CFO services which provides Chief Financial Officer services to small business that cannot afford a full-time CFO. It’s a program that allows highly qualified financial professionals to target their services and reduce their employer’s costs. 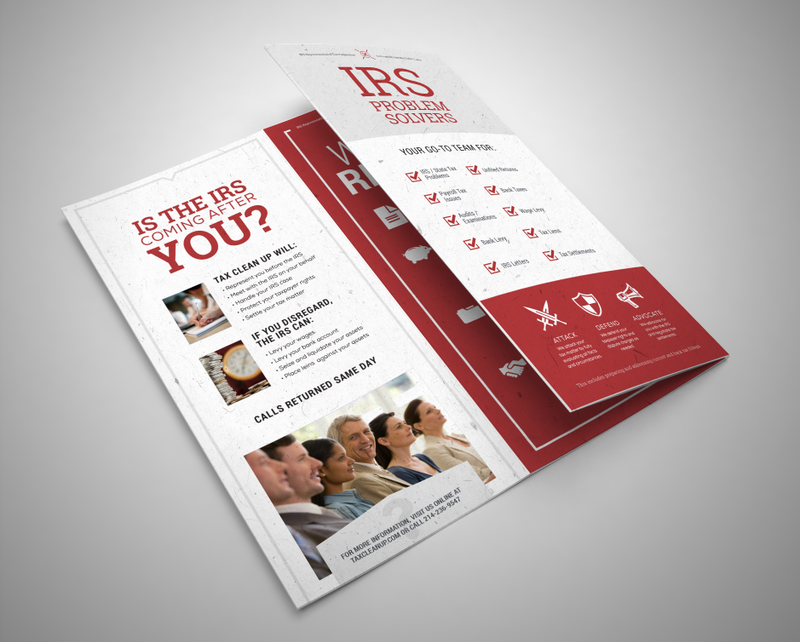 For this client, the essence of his brand is protection and active safeguarding of his customers from the IRS. 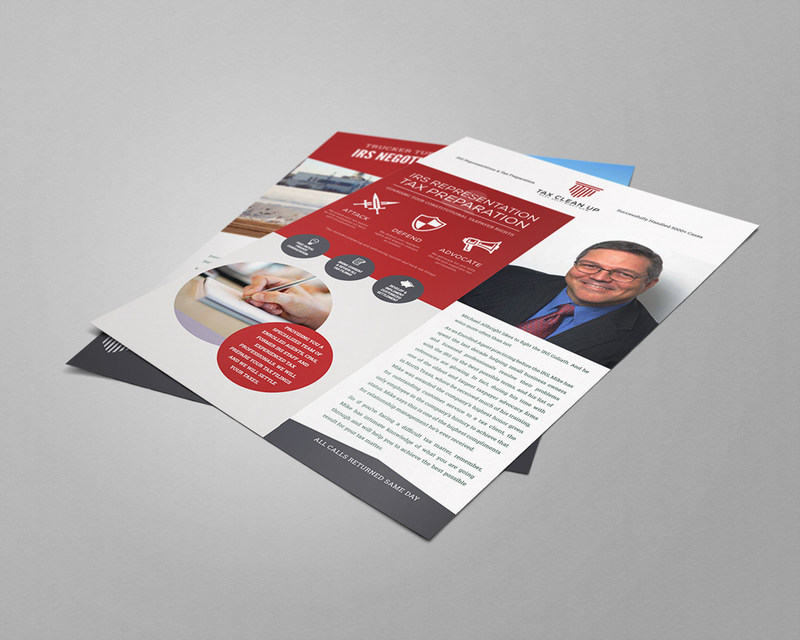 Staying true to his mission, we branded Tax Clean Up through messaging, logo design, printed materials, and social media.